What to do After Installing WordPress on Your Website? HomeBloggingWhat to do After Installing WordPress on Your Website? I was not too smart at the time I set up my own blog and needed help from a few very close and trusted friends to be able to manage it. Thereafter, I have been trying to upgrade my skills and know more about WordPress. I am sharing some of what I have learnt with you all today. 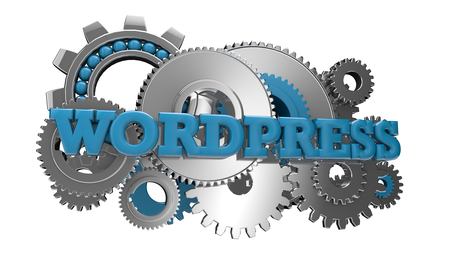 As we all know, WordPress is one of the leading blogging platforms in the world at present. Obviously, it is not for nothing that it is the most preferred platform for all bloggers. There are hundreds of features which make it one of the best choices available to bloggers right now. With thousands of new blogs being created every day, the size of the WordPress community is increasing by leaps and bounds rapidly. And installing it is easy too! But there are certain things that need to be done immediately after installing WordPress on your site. In this post, we will tell you what you need to do as soon as you have finished installing WordPress on your Hosting Account. The first and foremost thing that you need to do after installing WordPress is change the admin user account. Using default admin account will make your site an easy target for hackers. If you are using one click WordPress installation, you MUST change your admin user role or delete that account from your User Management System without beginning to work on your blog. Go to the Users menu and create a new use account which MUST be an obscure one. Now, give a strong password so that nobody can access your website other than you. I would suggest you to go for a STRONG password which has a combination of upper space and lower space characters, a few numbers an also a few special characters, making it extremely difficult for hackers to get through it. Once the new account has been created, log out of your admin account and re login by using new account. After getting logged in with the new account, delete the older admin account immediately. Once the admin account gets deleted, concentrate on the predefined contents which are available on your website. 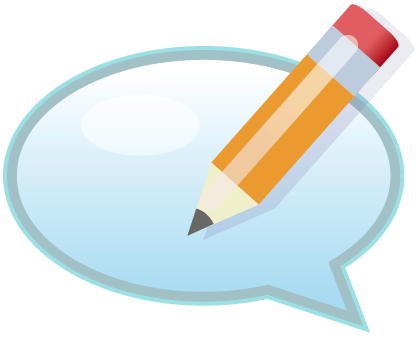 Go to Post and delete the Sample post which is found on the site and also delete the sample comments and pages. Now, your blog has been emptied. Check it once to make sure that there is no unnecessary content up there. Next, you should concentrate on your website permalinks. Permalinks are the permanent structures which provide link to your contents. Choose your permalink structure from the various types of permalinks which are available in the menu. To change the permalink structure, go to Settings -> Permalinks. Here you will find various types of permalink structures. A good permalink structure can help increase the visitor level and get you a chance to increase the page rank your website. Permalinks are also one of the Search Engine Optimization techniques where you can optimize your content title and its contents. That brings us to one of the most important steps after installing WordPress i.e. installing plugins. They are the best feature that you can find only on a self hosted website. While installing plugins, you should go for Akismet which prevents your website from bulk and unwanted spam comments. Then there are several plugins which you should install on you WordPress website such as WordPress SEO Yoast, Jetpack, Contact Form Seven, W3 Super cache, Broken Link Checker, etc… These are the basic plugins which you should install in your website after installing WordPress. Choose the best ones according to your requirement. Now that you are done with the basics, you need to install a theme. It has rightly been said the “First impression is the last impression”. Create a lasting impression on the first time visitors to your blog by giving them a wonderful User Interface (UI). For that, you need to pick up the right theme. Of course, using attractive themes will impress your visitors on first site. I would suggest you to go for Premium themes. Also make sure that the theme is responsive. These were the basic steps you need to follow after installing WordPress on your website. Do not rush through this. Spend some time and do this job thoroughly. Once you get through with these steps, you can go on and publish your first post. Good to see you here! Love the tips, especially the note about changing permalinks. Too man miss out on critical SEO juice by ignoring these gems but a bit of mindfulness can help you generate targeted, steady traffic with greater ease. I knew nothing about changing permalinks and made some silly mistakes a few months back due to that ignorance. As far as the password is concerned, nearly 80% of the bloggers go in for silly and easily predictable passwords and then blame WP for their won misdoings. Which is all very avoidable.